In the Church of England parish church of St. Peter and St. Paul the north wall of the chancel contains two blocked-up Norman arches that suggest the building may date from about 1200. The chancel contains a window that pre-dates 1300, but is probably not in its original position. Other features from the Decorated Gothic period include the windows of the south aisle and the east window of a room to the north of the chancel. The East window of the chancel, the only complete stained glass window, and the four-bay arcades between the nave and the north and south aisles are from the early part of the Perpendicular Gothic period. The bell tower is also Perpendicular Gothic. The pews are 18th century and are in raised tiers at the west end. Together with the stained glass window and the etched window in the tower (dedicated to those who served at the local wartime airfield), St Peter & St Paul’s makes a wonderful backdrop to any service, especially a wedding service. 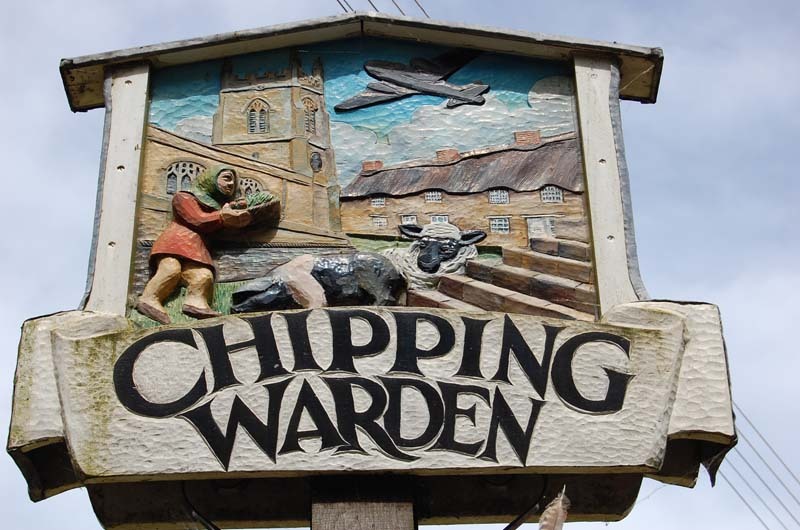 The parish is now part of the Church of England benefice of Culworth with Sulgrave and Thorpe Mandeville and Chipping Warden with Edgcote and Moreton Pinkney. 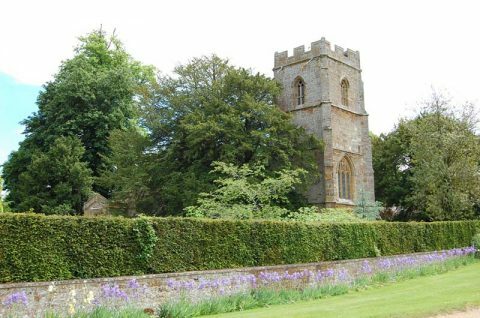 or contact Revd Brian Fairbank at The Rectory, Culworth, Banbury, OXON OX17 2AT. The oldest parts of the Church of England parish church of St. James are the 13th century south doorway and three-bay south arcade. Inside the church is a series of monuments to the Chauncey family. The oldest are to Toby Chauncey (died 1579) and William Chauncey (died 1585). They are followed by four monuments to 17th and 18th century members of the family carved by the Flemish sculptor John Michael Rysbrack. St. James’ has a ring of four bells plus a sanctus bell. The sanctus bell was cast in about 1500 by an unidentified bell-founder. Bartholomew Atton of Buckingham cast the oldest bell in the ring in 1592. His successor Robert Atton cast the tenor bell in 1623. Henry I Bagley of Chacombe ncast the third bell in 1660 and the treble bell in 1668. The ring is currently unringable. 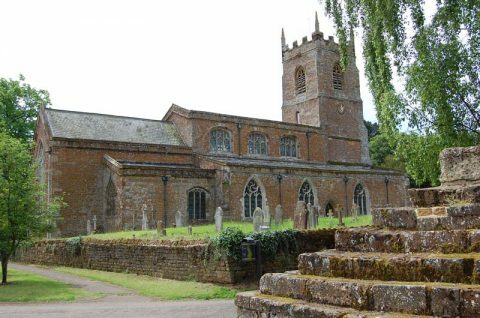 St. James’ parish is a member of the Benefice of Culworth with Sulgrave and Thorpe Mandeville and Chipping Warden with Edgcote and Moreton Pinkney.